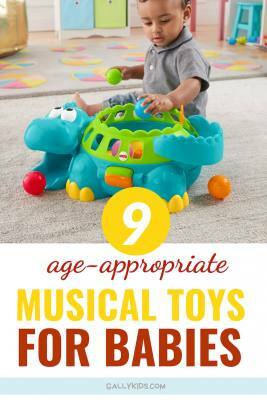 We’ve already covered some of the best science toys for preschoolers. 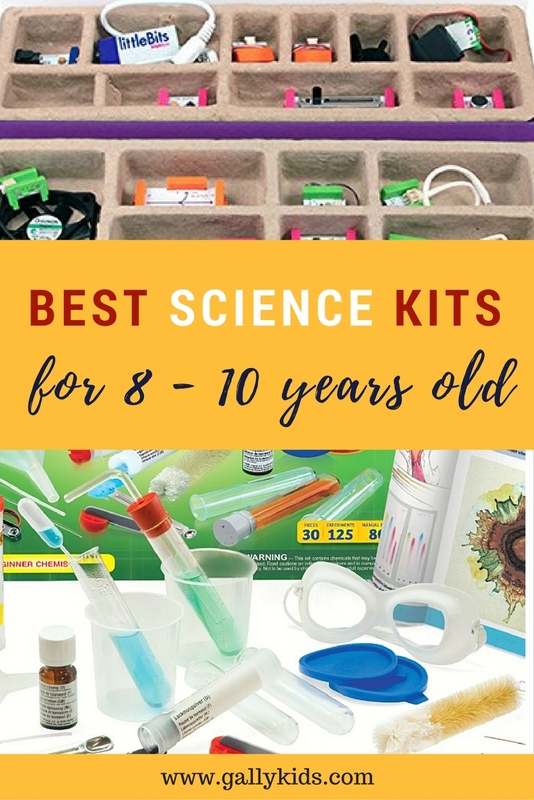 Today, let’s have a look at the best science kits for 8-year-olds to 10-year-olds. There are many different ideas included on this page. The experiment kits are divided according to interest from chemistry sets to robot kits. Piper Computer Kit A hands-on interactive game kit that allows kids to build their own computer. 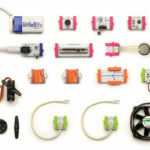 littleBits Electronics Premium Kit An invention kit for kids with over 600 possible circuit combinations + instructions to 10 inventions. Solarlab 1.0 Electricity Learning Kit A fun way to learn about circuits and the science behind solar electricity. Snap Circuits Alternative Energy Green Over 125 projects to learn about alternative forms of energy. Makey Makey An invention kit using ordinary objects. 2016 Toy of the year finalist. 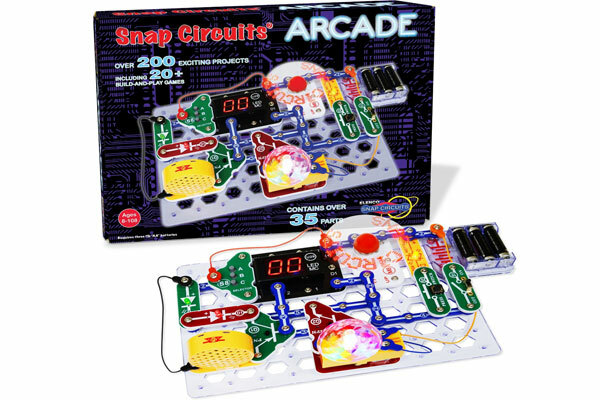 Snap Circuits Lights Electronics Discovery Kit A simple introduction to electronic projects. 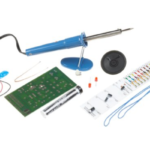 Elenco Amerikit Learn To Solder Kit Easy way for kids to learn about soldering. The little builder in the house will have heaps of fun learning about circuits via an interactive game setting, just like an arcade. There are many things to make which help with expanding your child’s imagination and understanding of science. The kit has 30 Snap Modules to complete more than 200 projects that support a STEM or STEAM curriculum. Pieces with snaps are used to assemble various types of electronic circuits just like printed circuit boards found in most electronic boards. Learning should be fun! And what better way to do it than with the Piper Computer Kit. Piper is a hands-on interactive game kit that enables kids to assemble their own computer. The learning process is enhanced with an engaging story line, building and programming electronic modules, and Minecraft story mode adventure. 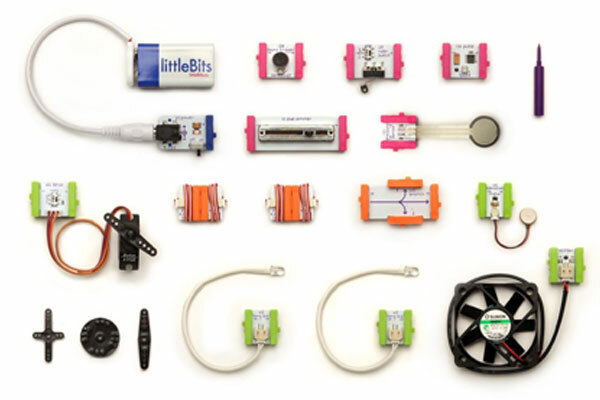 If your budding engineer loved the littleBits Base Kit, he will have a great time creating and inventing more with the littleBits Electronics Premium Kit. 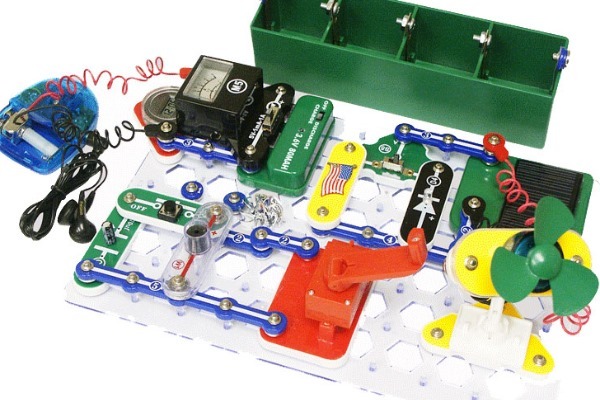 This Snap Circuit kit contains over 125 projects that investigates alternative energy strategies. It has easy instructions for kids as young as 8 years old. It’s easy to put together. After charging the batteries in the sun for several hours, your child can start building projects. He will experience and learn how to use alternative energy sources instead of a battery unit. 2016 Finalist For Toys of The Year! It’s not easy to explain exactly what this invention kit does. Basically, you’re using every day objects like bananas! to make something like a banana piano. 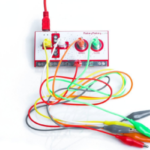 The Makey Makey inhttp://amzn.to/2o88sO1vention kit really does offer thousands of possibilities. The good thing is there is no need to install a software, and it works with Mac and Windows. Your child doesn’t need to have programming knowledge to set this up. It’s just plug, clip, and play! 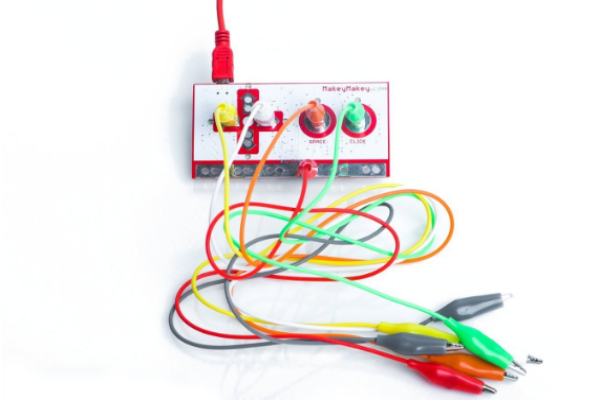 Any material that can conduct even a tiny bit of electricity can work with Makey Makey. Check out the video below if you want to know more. 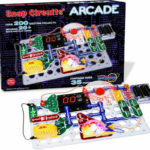 The Snap Circuits Lights Electronics Discovery Kit is an exciting way to introduce electronics to your kid. 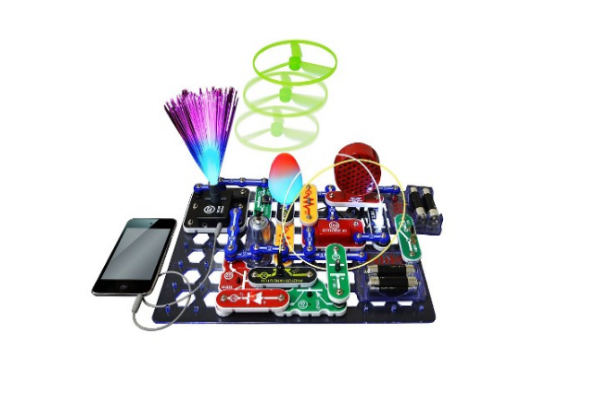 It comes with 55 color-coded, real circuit components that your child can use to create electronic circuits and device that work. There are over 175 do-it-yourself electronic projects. All of these circuit components snap together to make different projects that show how light works. Understanding basic electronics and harnessing solar electricity has never been easier. 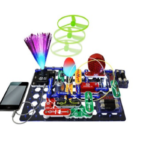 The Solar Lab 1.0 Electricity Learning Kit is a fun way to learn basic circuit building. Your child will learn more about the science behind solar electricity and will have hands-on experience on how to build a solar battery charger to generate power for different devices. 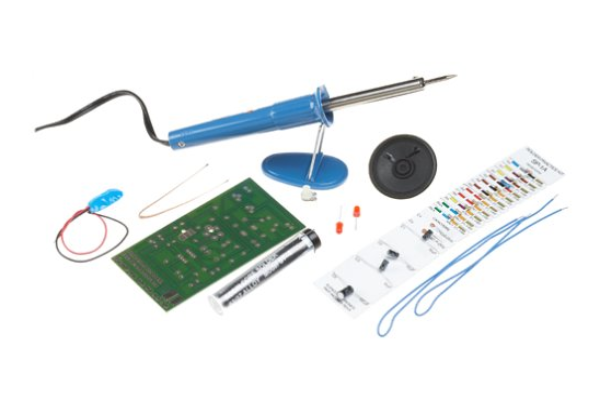 This soldering kit is a recommended science kit for beginners. This is what your child needs to learn about soldering. The instructions are detailed and easy to follow. There are also quizzes to assess what your child has learned. Chemistry experiments will never be the same again with CHEM C1000. Your child gets to set up her very own lab while learning how to safely handle lab equipment and chemicals. 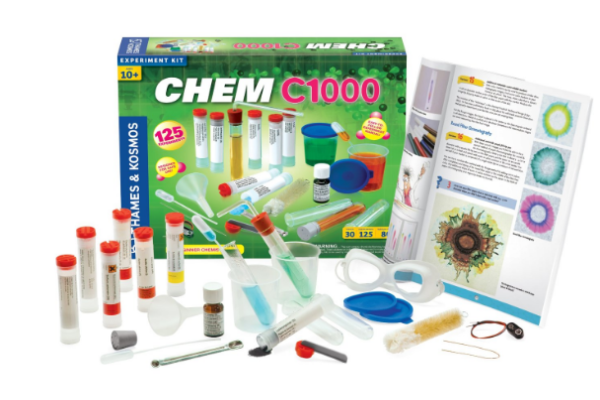 This science kit for 10 years old comes with professional quality equipment and enables your child to investigate chemistry in the kitchen. Since your child will be dealing with chemicals (most need careful handling but are not really dangerous), adult supervision is very important, preferably from one with some technical ability. 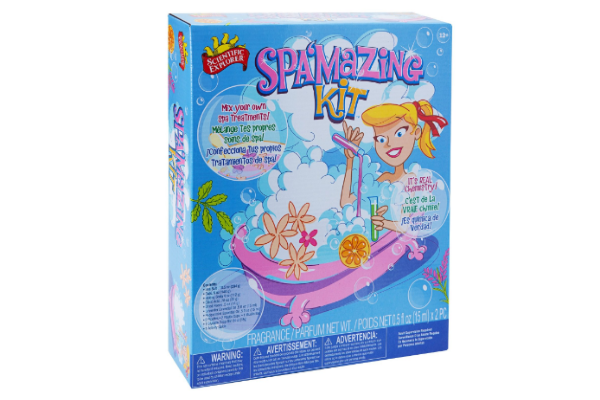 Your kids will certainly love creating a safe and luxurious spa experience with the Scientific Explorer Spa’mazing Kit. It comes with colorful and fragrant bath gels, spa lotion, bath fizzers, face masks, bath balm, shampoo, and exclusive spa fragrances. The kit allows kids to blend natural and organic ingredients to make spa products, without having to worry about your kids being exposed to unknown chemicals. If your child loves chewing gums, here’s a bubble gum chemistry kit that allows him to make gum recipes from 3 different flavors—watermelon, blueberry, and mint. 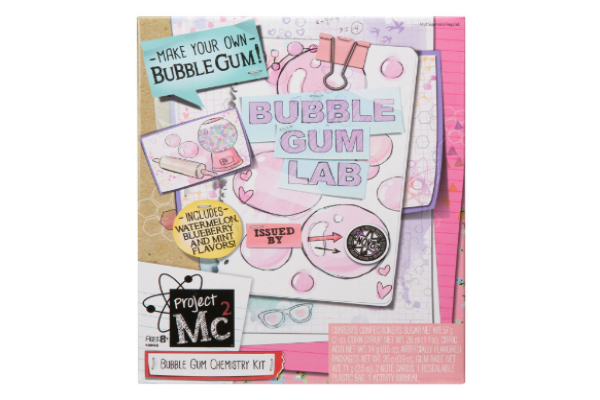 There are enough materials in this science kit for multiple batches of gum balls. There are 9 recipes to follow but other recipes can also be made by combining flavors. It encourages your child to be creative in order to come up with unique flavors. 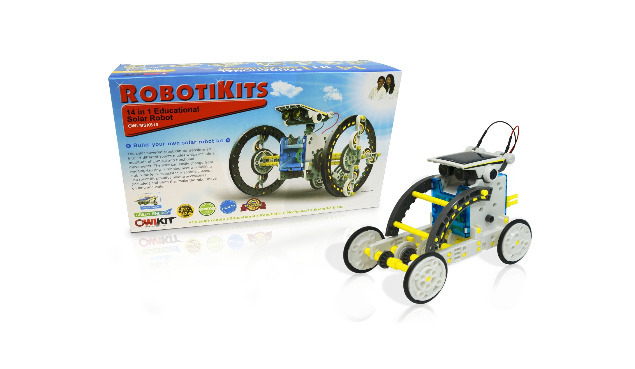 This Starter Robot Kit is for kids to learn robotics, electronics, and programming. 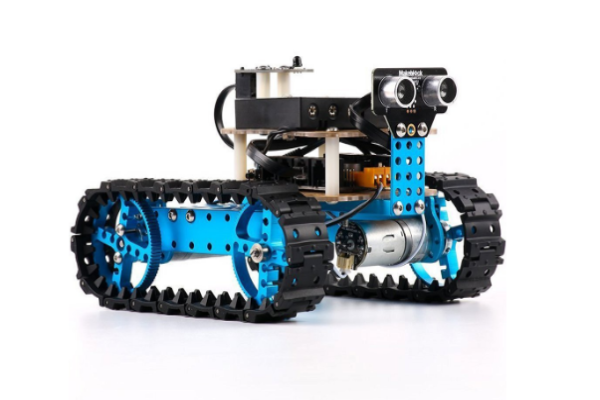 The instructions are beginner-friendly and kids can easily have hands-on experience on building a programmable robot tank or a three-wheel robot car. This is a great way to encourage self-learning and exploration. 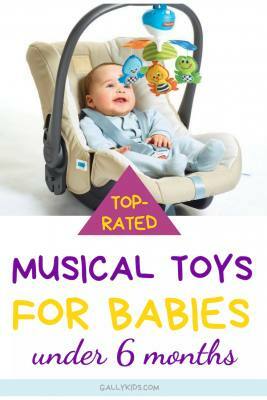 There are three versions from which you can choose from – Bluetooth version, IR versions, and No Electronic version. The kit stands out because of its durability and ease of programming that beginners can easily tackle. The hardware is made of high quality material and the standard jacks for the peripherals make Arduino easier. 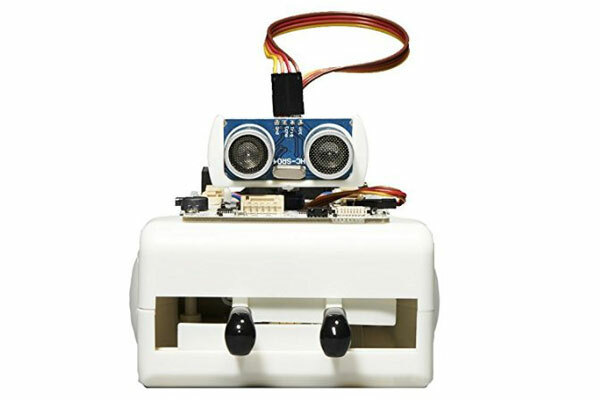 Designed primarily for beginners, this Arduino robot is a fun intro to programming, electronics, and robotics. 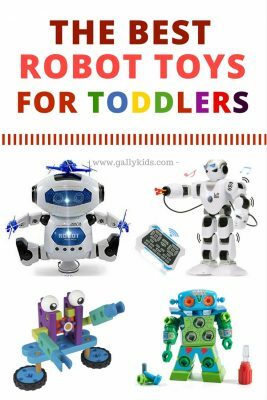 Your kid will have the chance to have his very own robot at home! The kit already comes pre-assembled with its own USB cable. Your kid can even write his own programs, plugging it in via USB and installing the custom-enhanced Arduino software to try any of the programs. 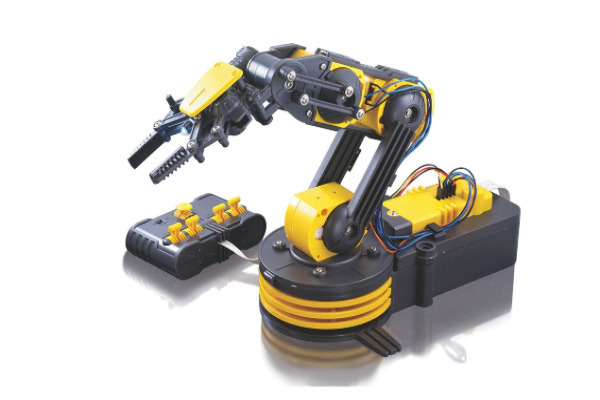 This is a beginner’s robot kit but its features appeal even for advanced users and is used for STEM activities in many schools. 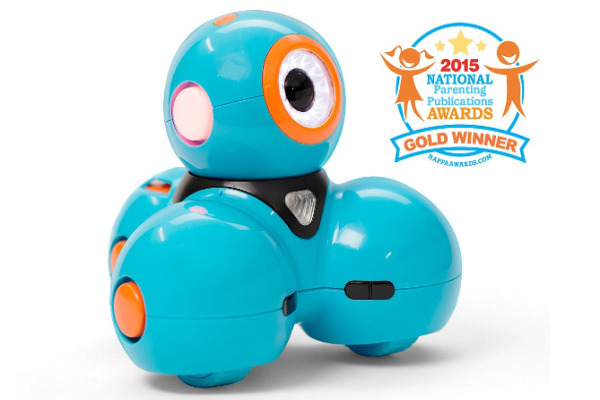 The wonder Workshop Dash Robot teaches kids programming with hands-on play. Robotic arm technology has never been more affordable than the OWI Robotic Arm Edge. It is full of capabilities! It comes with added features which include a search light design on the gripper and a safety gear audible indicator which are included on all five gear boxes. With 4 D-size batteries (not included), night time play is possible. Your budding engineer will certainly have his hands full using the “5s” (five-switch wired controller, 5 motors, 5 gear boxes, and 5 joints) for total command and visual manipulation. Here’s a robot that needs no batteries. It can transform into 14 different robot modes powered only by the sun! Whether your child is a beginner or an experienced robot builder, there will be two levels to match his skills and experience. 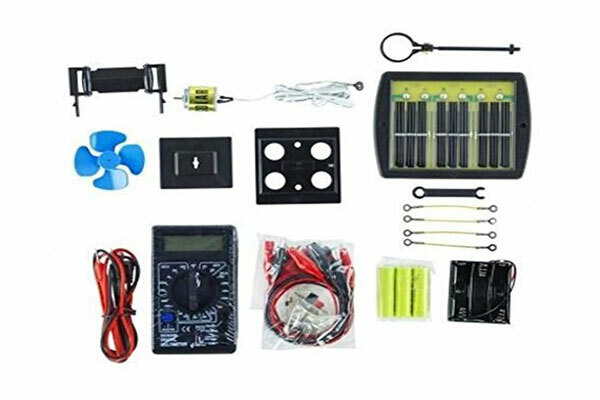 The kit comes with unique accessories and parts that make the robot move on land and water. Level one includes Turtle-bot, Beetle-bot, Quadru-bot, Boat-bot, Walker-bot, Dog-bot and Wheel-bot. Level 2 challenges your kid’s manipulative skills with the Roly Poly-bot, Auto-bot, Slither-bot, Surf-bot, Zombie-bot, Crab-bot and Row-bot. 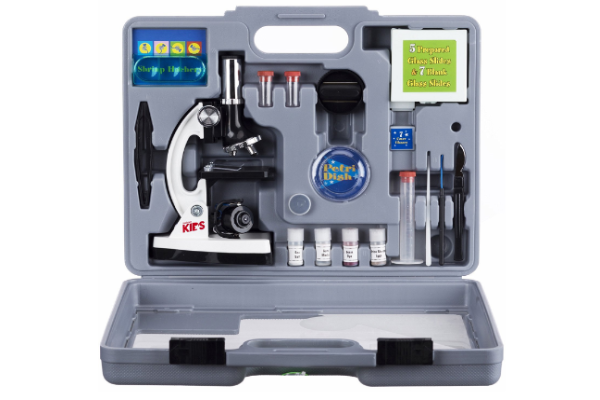 Bestselling beginners microscope for kids! If you’re looking for a real biological microscope for your child, buy the Duo-Scope. It’s not just an ordinary microscope toy — it’s an authentic, scientist-grade, biological microscope with higher magnifications (40x, 100x, 400x) and clarity using real optical lenses. The eyepiece can also function as a magnifying glass when detached from the eyepiece tube. Its impact-resistant frame makes it durable enough to be brought and used outdoors. The above-stage illumination allows examination of opaque objects such as insects. The Amscope Beginners Microscope Kit is a beginner compound microscope with a monocular viewing head with LED, mirror illumination, built-in color filter wheel, a durable metal frame, and a rotating turret with 300x, 600x, and 1200x magnification. 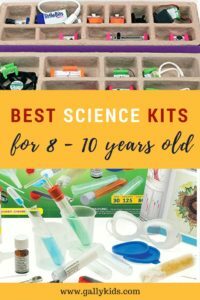 This science kit for 8-year-olds comes with several slides, but you can also make slides that you and your child can examine under the microscope. 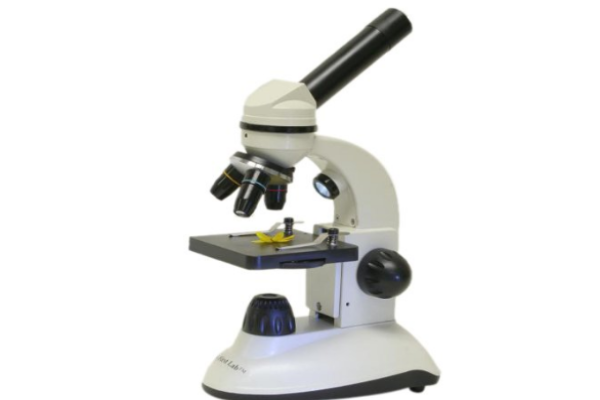 The Carson X-Scope Child’s Microscope is one of the most versatile tools you can give your young explorer. 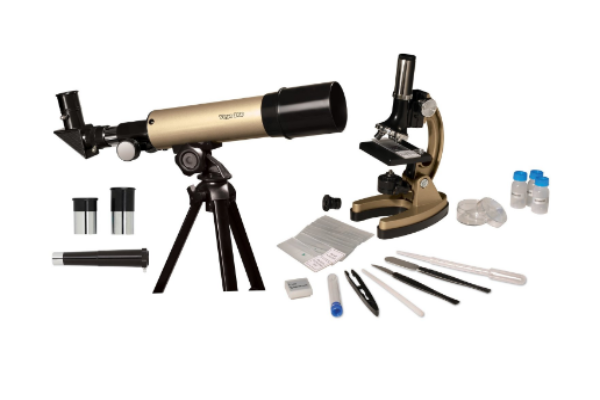 It comes with a 30x microscope, 8x telescope, 9x magnifier, LED flashlight, compass, digital clock, and signal whistle. 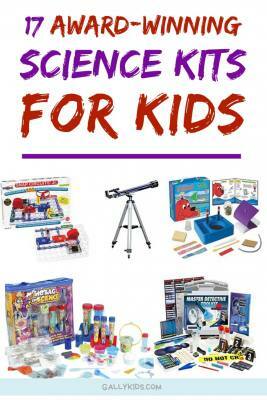 This telescope combination kit holds the distinction of being awarded “Top Toy of the Year” by Creative Child Magazine. Your child will benefit from some assistance as he explores the multiple uses of the tool while investigating his surroundings. The skeleton model is an excellent introduction to the human body. Step-by-step instructions help kids learn the names and locations of major bones and how they support the body. 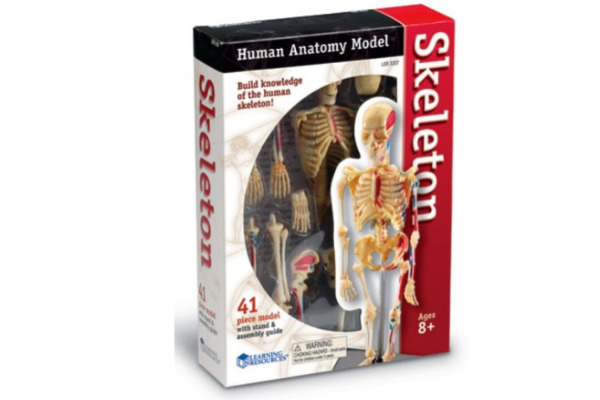 It comes with an easy-to-read, photo-illustrated manual with directions to assemble the skeleton model. Molecular biology can be difficult and boring, but with the Science Whiz DNA Experiment Kit, learning the central concepts is child’s play. 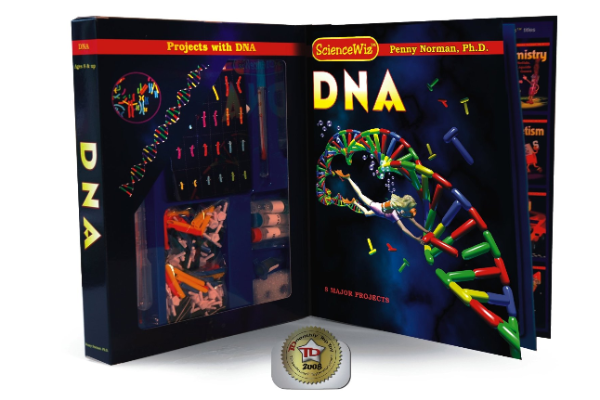 The kit comes with a 40-page book and materials to use for the 18 experiments like extracting DNA from a fruit, probe and spool real DNA, building a double helix, solving a chromosome puzzle, doing gene analysis, extracting your own DNA, and making forgery-proof DNA ink. The kit comes with a 40-page book and materials to use for the 18 experiments like extracting DNA from a fruit, probe and spool real DNA, building a double helix, solving a chromosome puzzle, doing gene analysis, extracting your own DNA, and making forgery-proof DNA ink. The MudWatt is one of the classic STEM kits that can enhance the knowledge of many schoolchildren about bio-energy. A step-by-step instruction manual helps kids build and grow their own living fuel cell from mud. 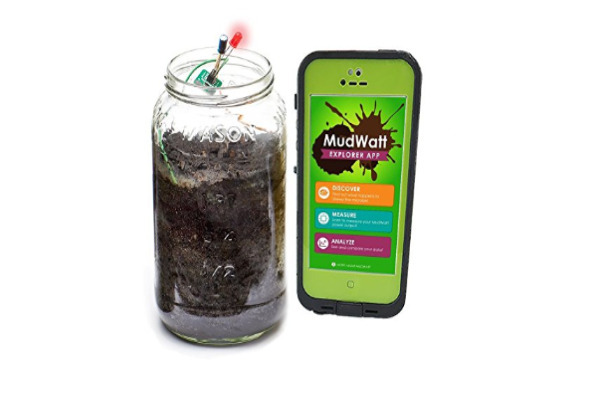 It harnesses the power of electricity-generating bacteria living in the soil. The activities encourage your child to experiment with various types of soils, different temperatures (and even food from the fridge!) to maximize their power output. This is a great way to introduce your child to the basic principles of genetics. 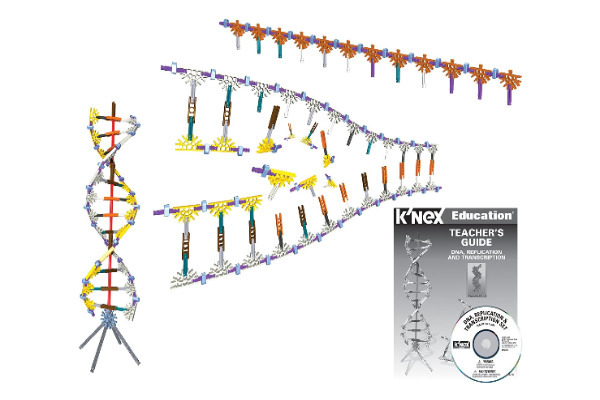 The K’NEX DNA, Replication, and Transcription set is designed to aid in teaching the structure and function of the nucleic acid molecules that make up DNA (deoxyribonucleic acids) and RNA (ribonucleic acids). The set comes with 525 K’NEX parts and pieces packaged in a convenient storage bin. There is also a step-by-step building instruction manual and comprehensive teacher’s guide that provides lessons through three instructional modules: DNA Structure, Replication & Transcription, and Coding, Translation & Mutations. 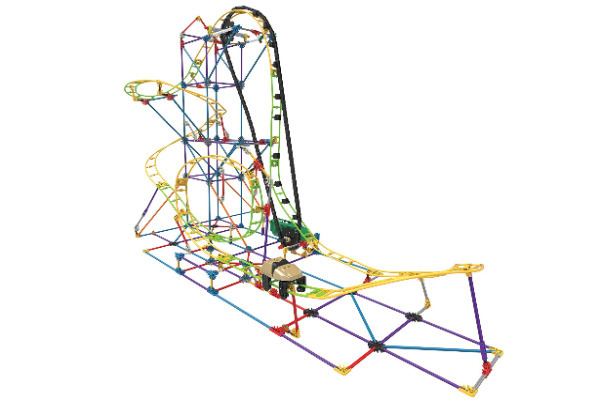 With over 500 parts and a battery-powered motor, this building set is a unique opportunity to explore STEM concepts while building a roller coaster that actually works! The set also includes 2 additional models – a ramp and a half-pipe. 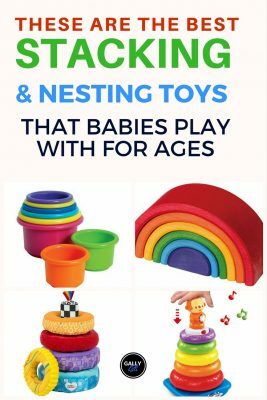 There are a few experiments that your child can do with this. The first experiment involves adding different amounts of weight to the car to test how weight affects the car’s ability to run the loops. The second and third experiments give instructions on rebuilding the coaster into a long gravity ramp, and then into a half pipe. This is an excellent lesson about learning how a car behaves on a straight or U-shaped track. All the experiments that kids can do with the Thames and Kosmos Motors and Generators are excellent opportunities to learn about how an electric motor converts electricity into motion. They learn about the flow of electricity by building simple circuits using a motor or generator, wires, and a light bulb. 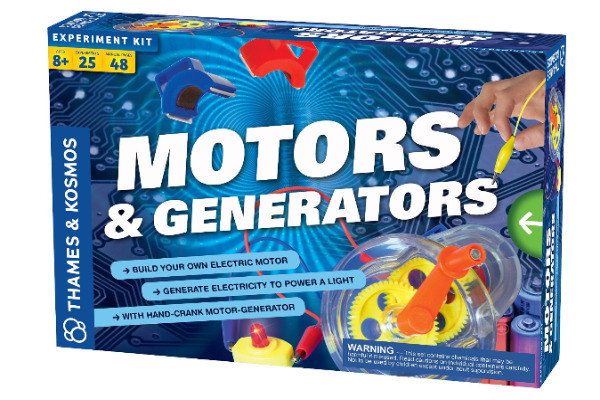 There are 25 experiments to learn all about electric motors and generators. 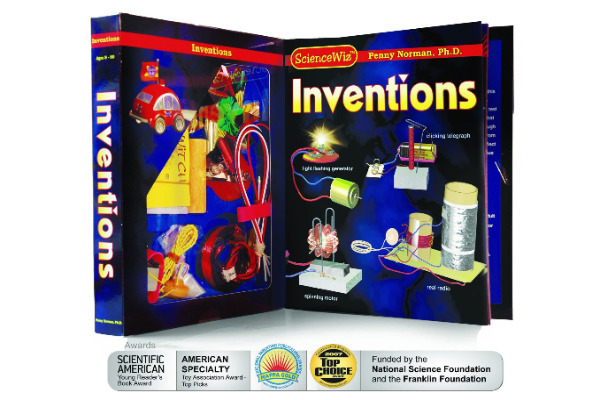 This award-winning Science Invention kit comes with 3D directions to build a motor, a light-flashing generator, a real radio, and a telegraph using everyday materials. 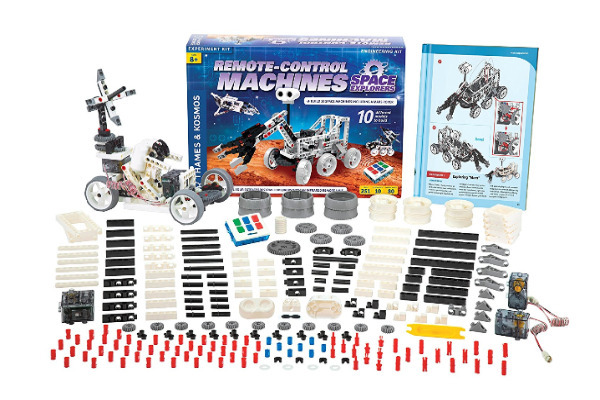 This 251-piece engineering kit contains everything needed to build robotic space machines. This Space Explorers Science Kit includes an 80-page illustrated manual of instructions to build not only the robot rover but also nine additional space-themed models. Whether you have a group around or it’s just you and your child, this game will give you hours of challenge and entertainment. 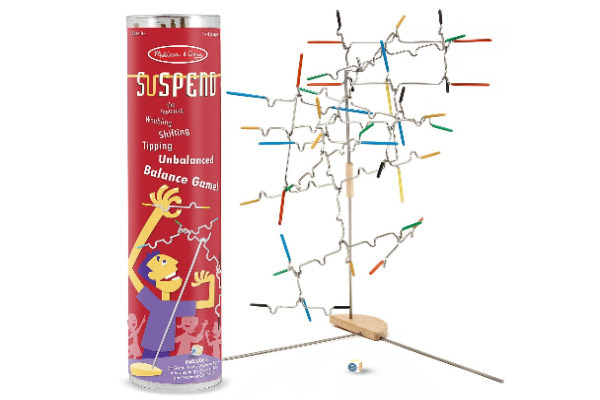 The Melissa & Doug Suspend game develops cognitive skills and hand-eye coordination, while promoting interpersonal skills. Your hild will have a grand time building one of 8 fully functioning replicas of real-world machines. 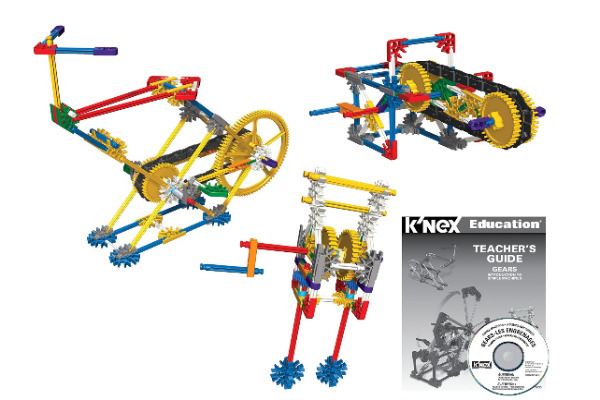 The K’nex intro to simple machines set is one of the best ways to introduce scientific concepts related to simple machines with the aid of levers and pulleys. The kit comes with 178 K’NEX parts and pieces and includes building instructions and a comprehensive guide. If you’re looking for a setup that is aligned to the STEM standards of problem-solving, discovery, exploratory learning, and critical thinking, this is a great STEM toy to have. Each set challenges kids as they build, investigate, problem solve, discuss, and evaluate scientific and design principles in action. 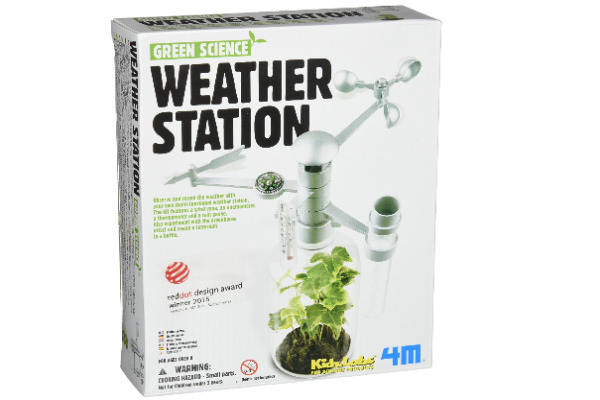 This is a multi-function weather station kit that makes your home a mini weather station. The kit comes with all the basic tools to observe and record local weather conditions.